Tokara Horses (Tokara uma ) are believed to be indigenous to Japan and are currently raised in the Tokara Islands, a chain of Island in Kagoshima. They are known for their tolerance to heat and have been used for agriculture, conveyance, and sugar cane squeezing. 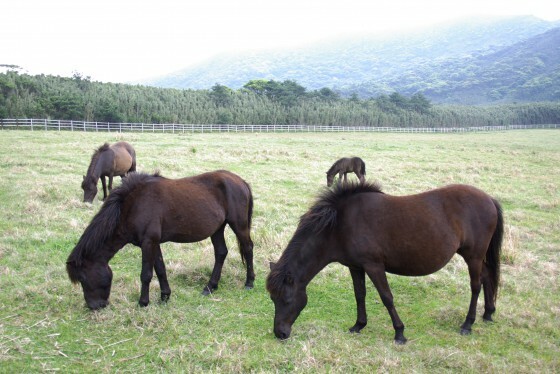 There are now 107 Tokara ponies, some of them on display at Hirakawa Zoo in Kagoshima.